Thanks to exposure with shows such as ITV Vera and the Tales from Northumberland series, our glorious county is very much in the public eye. Perhaps because we're so recognisable right now, it might seem as if there has been an increase in the amount of television and film production companies choosing to film here. But did you know Northumberland has appeared on the big and small screens for decades? Check out this handy guide of three iconic filming locations in Northumberland, you might be surprised! 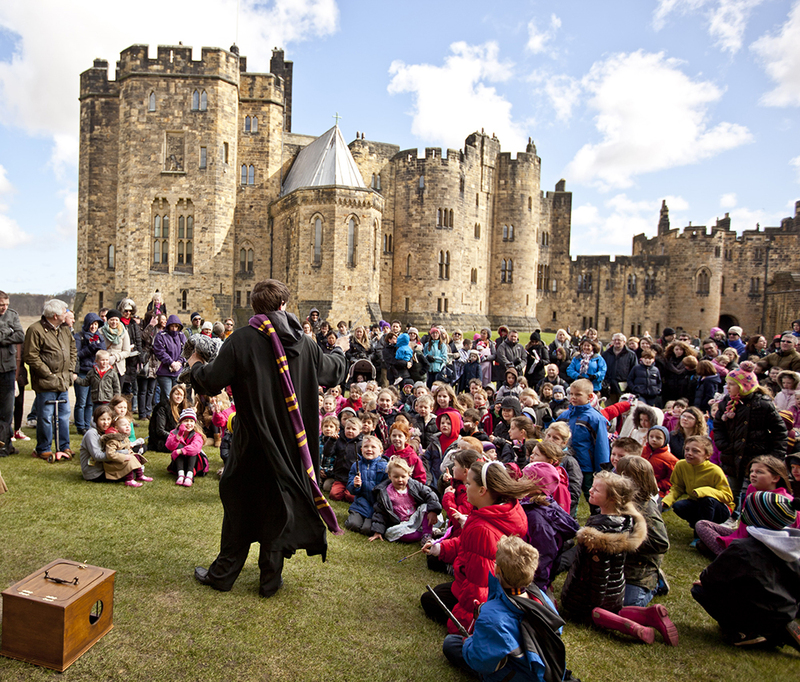 Alnwick Castle is one of Britain’s most iconic castles and a great family-friendly day out. Head into the historical site’s State Rooms to admire a huge range of art and furniture that has been collected by the Percy family over the generations, or take a trip into the castle’s dark Lost Cellars if you’re feeling brave. Where have I seen it? 2017 is the perfect time to visit this glorious castle, as it is the 20th anniversary year of the Harry Potter books. Face your own Northumbrian Red on the Dragon's Quest, fly high with broomstick training lessons... you'll soon feel like you’ve just enrolled into Hogwarts School of Witchcraft and Wizardry. If you’re a fan of Downton Abbey, you won’t want to miss the exhibition at the castle, where you can see costumes and props from the beloved TV series. A structure that has stood on the north of England’s landscape since Emperor Hadrian ordered it built in AD 122, Hadrian’s Wall was acknowledged as the north-west frontier of the Roman Empire for close to 300 years. 2017 is the perfect time to visit this imposing monolith, as it is 30 years since it was given UNESCO World Heritage Site status. The Hadrian's Wall Cavalry event celebrates the anniversary until September. At 73 miles long, there’s quite a few places to begin your exploration of Hadrian’s Wall. Stretching from Wallsend in Tyne and Wear, snaking through Northumberland to Bowness-on-Solway in Cumbria, the structure is home to many great Roman forts, such as Housesteads and Birdoswald. Vindolanda sits just to the south of the Wall, a large and important site where archaeologist excavate amazing artefacts year on year. 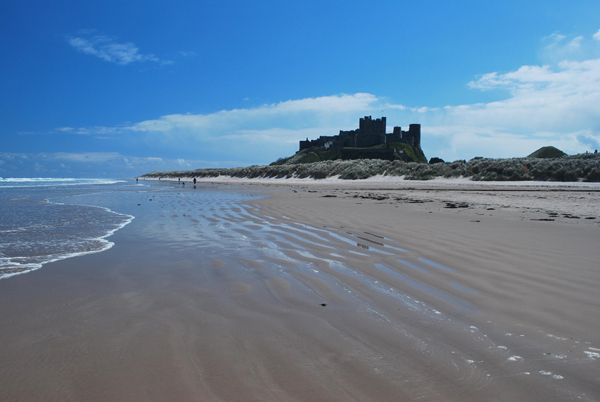 Bamburgh is a tourist’s dream, especially when you consider its magnificent castle and dune-fringed beach. The summer of 2017 sees the release of fantasy action blockbuster, Transformers: The Last Knight. Who wouldn't want to see giant robots battling on a Northumbrian beach? Bamburgh Castle is set on a rocky plateau and covers nine acres of land — making it one of the UK’s largest inhabited castles. Parts of the castle that you need to visit include the site’s medieval kitchen, the awe-aspiring King’s Hall and the affluent stables. Once you’ve finished exploring Bamburgh Castle, take a short walk down to Bamburgh beach and take a stroll along the open expanse of sands. Voted a top surf spot in the North East, the beach also often welcomes dog walkers and horse riders looking for a relaxing time out. Content provided by premium hotel group The Cairn Group. Excited to visit these iconic TV and film sites? The Cairn Group has rooms available at hotels in Jesmond which is within easy reach of these locations. 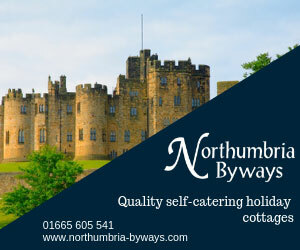 Spanning nine acres of land on its rocky plateau high above the Northumberland coastline, Bamburgh is one of the largest inhabited castles in the entire country. Explore 14 public areas and learn more about the castle and its inhabitants from over 3,000 items on display, including arms, armour, glass, china, furniture and artwork. Experience the sights, stories and atmosphere of over 2,000 years of exhilarating history.